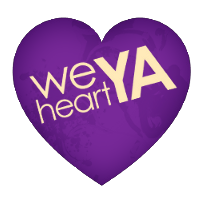 This month, I read Starflight by Melissa Landers, The Girl from Everywhere by Heidi Heilig, and Cress and Winter by Marissa Meyer. My favorite was Cress, and Starflight was a close second. 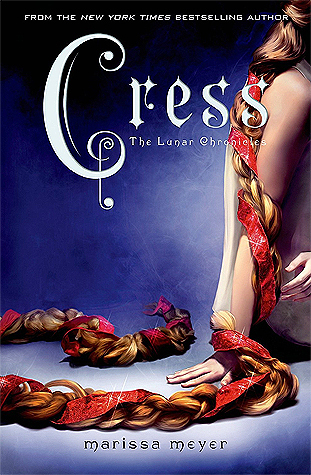 Cress reminded me a little of Disney's version of Rapunzel in Tangled, and I love how her story was incorporated into this world. 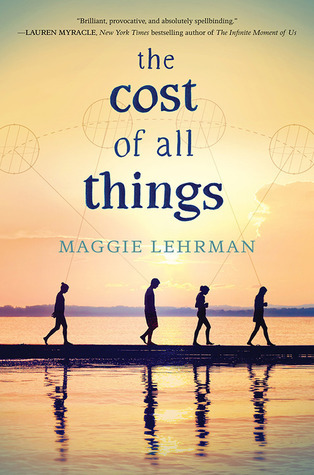 For a more grown-up answer, haha, the truth is that I'm slowly making my way through THE COST OF ALL THINGS by Maggie Lehrman, and I'm loving it. (Slow because of aforementioned niece, not because of the book at all.) Really great character work, and a fun, messy premise about magic and wishes and the price we pay for getting what we think we want. June was a crazy-busy month for me, but I somehow managed to read two and a half books! (Primarily because two of them were audiobooks that I could absorb while driving children to various daily activities :) The first book was a re-read of JUST LISTEN. 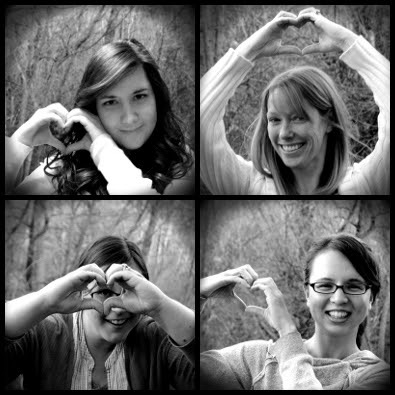 I am a huge Sarah Dessen fan, and this is one of my SD faves. 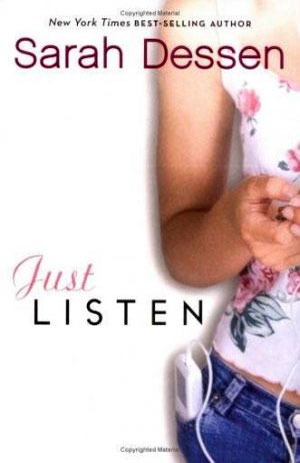 I also listened to IN BETWEEN by Jenny B. Jones. This story was delightful--full of humor and tender family moments. And Katie Parker, the sweet, spunky protagonist of this novel, stole my heart on page one. Currently, I am halfway through THE WEIGHT OF FEATHERS by Anna-Marie McLemore. So far, I love her lyrical writing and the unique setting/storyline. 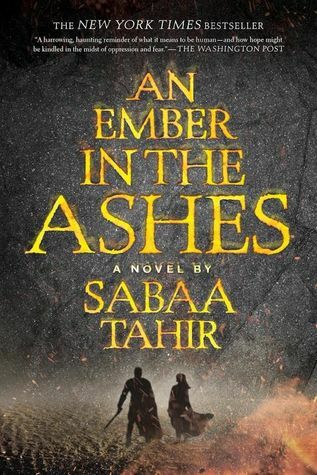 This month I read AN EMBER IN THE ASHES and ONE by Sarah Crossan, which has (deservingly) already won two big awards this year. I absolutely adore novels in verse, and while ONE is brilliant, I'm still hung up on her earlier work THE WEIGHT OF WATER. That book! Anyway, at the moment I'm in the middle of AND I DARKEN and whew, man, you want this. Kiersten White's storytelling has grown with each book I've read and I do believe she's found her sweet spot.